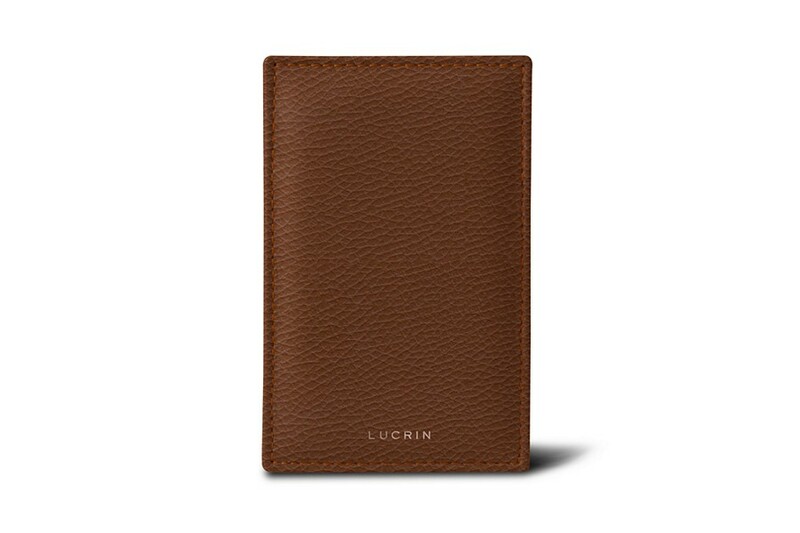 The magic leather card case consists of 3 exterior pockets for credit cards and 2 interior strapped compartments for holding your receipts. 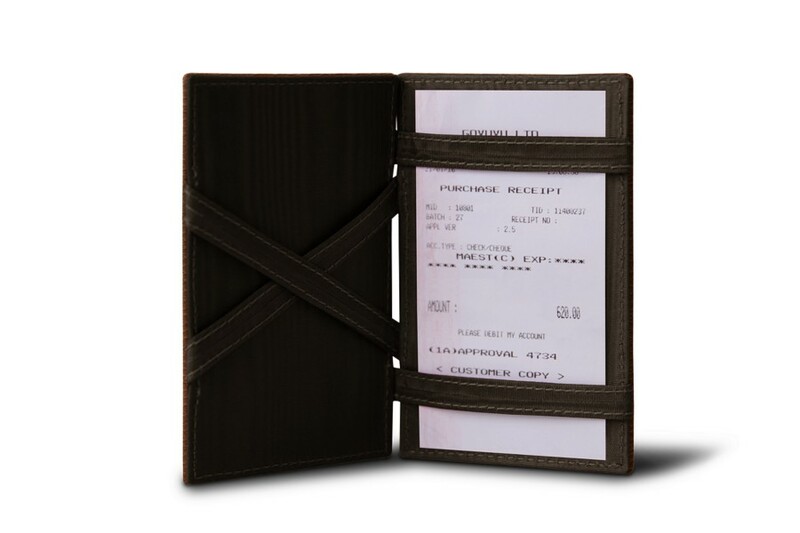 Store your receipts or visitors cards in a swift movement by merely placing them inside the case, close it, turn it around, and open the case again to find your papers properly arranged behind the inner straps... It's magic! 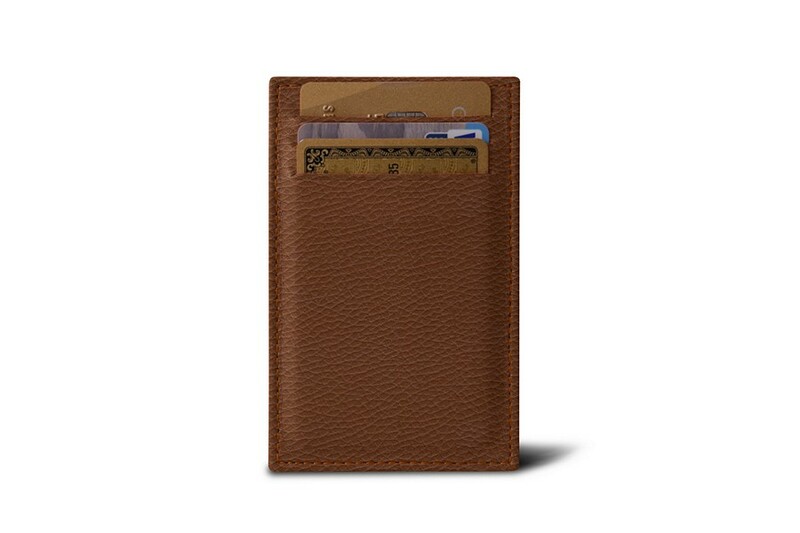 Try out this slim card case which would definitely impress many.